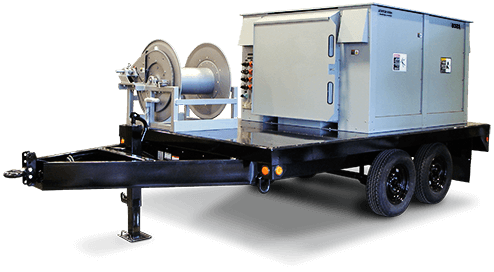 Load banks are used for testing, commissioning, and simulating load on generator sets, uninterruptible power systems, and stand-by emergency power units. Power Systems Plus Inc. designs, manufactures, installs, services and maintains a wide variety of AC and DC Load Banks for sale and rental. While several of our products have been standardized, the majority of the load banks are customized to meet user’s specific needs and specifications for a range of applications. All Power Systems Plus load banks are designed, constructed, and tested in our shop/office facility occupied for over 30 years by PSP and predecessor companies, located in the northwest industrial park of Edmonton, Alberta.